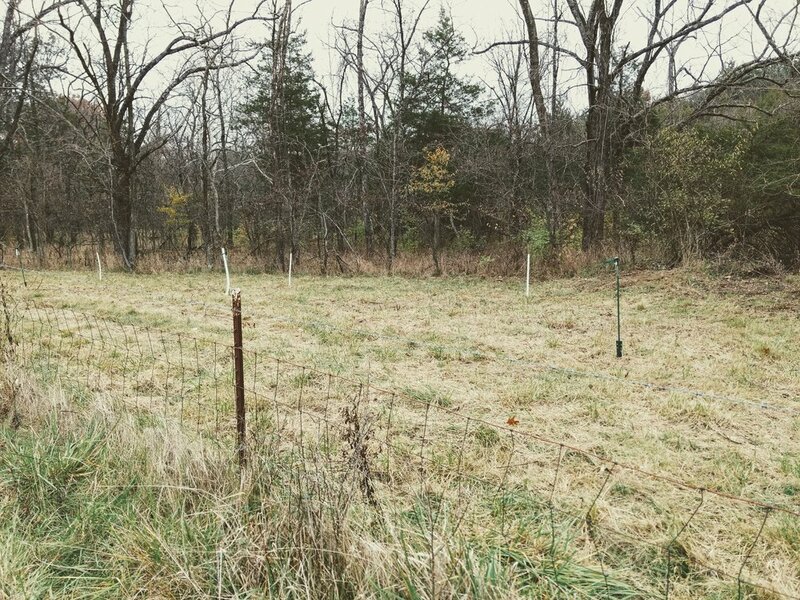 A couple weeks ago I cleared an area to use as a small orchard. Yesterday I got around to planting six trees, including three persimmons and three apple variants. I've got room here for one or two more small trees, and I'm thinking about a couple cherries. All of these will provide the bees pollen and nectar, the bees will provide all of them with pollination, and the combo should provide us with more fruit than we can possibly eat.